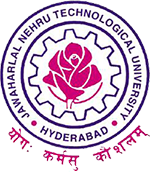 JNTUH 1-1 Time Table 2019: JNTUH B.Tech 1-1 Sem (R18,R16) & 1st Year (R15,R13,R09) Supply Time Tables May/June 2019, jntu hyderabd I year I sem end exam time tables download 2019. JNTU Hyderabad has announced B.Tech 1-1 Semester (R18, R16) & 1st Year (R15, R13, R09) Supplementary Exam Time Tables May/June 2019. Students can download Timetables for B.Tech I year I Semester R18 Supply, R16 Supply and I year R15, R13,R09 Supply University Examinations 2019. The candidates who are searching for JNTUH 1-1 sem Time Table 2019 you will need to visit the Official website: jntuh.ac.in or click on the above links. When will they release B.pharmacy R13 1ST Year Supply Exam TIMETABLE ?